Having first tried Banana Loaf while on a Champneys retreat this time last year, it seemed like a lovely springtime snack to attempt after twelve months of nostalgia. The recipe I've followed is BBC Good Food's Brilliant Banana Loaf - an incredibly popular recipe that takes about an hour in total, including preparation and baking (I found a longer baking time was needed). This version doesn't share the health spa's main goal of healthy eating, and rather places more emphasis on creating a tasty treat - meeting somewhere between banana bread and a sponge... which suits me just fine! The most appealing aspect of baking a loaf/sponge is undoubtedly the easy-slice shareable quality, however in the case of this recipe, that is pipped to the post by its purpose of using up overripe bananas. You know, the ones you bought last week and vowed to eat, only to spend the last seven days reaching past them to get to the Snickers. I have to admit, I didn't much enjoy the process of mashing the overripe bananas - it turns out I have a weaker stomach than I'd realised! However, the end result was more than worth it; the texture was light at first bite, but dense to chew (great!) and the loaf undoubtedly reignited my love for bananas - in cake form, that is. Oh this looks so yummy! I will try out this recipe for sure - I hope I'll find time very soon! This looks incredible! I love banana bread. The dense, yet soft and sweet flavor just can't be beat! I love adding walnuts to mine. But chocolate sounds like a great idea. Thanks for sharing! OMG! Yummy! I would try this at home! Thanks for your wonderful comment on Qing's Style Please always keep in touch, I would love to hear from you! This cake seems so delicious ! Baking from scratch. Wow, impressive. And this looks yummy too. I'm sure it tasted great! I should take the time and bake more often too. I’m in love! This is so yummy. Hope you have an amazing new week! I think i might try it over the weekend. Oh you're very welcome and I'm so pleased to hear that Gemma! Yum!! Going to test my baking skills out with this one! I love Banana bread! It was a staple in my house while I was growing up. My mom and nana always used to battle it out to see who was the best Banana Bread Maker lol. Thanks for sharing Gabrielle! Oh man, I've been looking for a good banana loaf recipe, and this looks like a winner! I've got to try this out soon. Thanks for sharing! 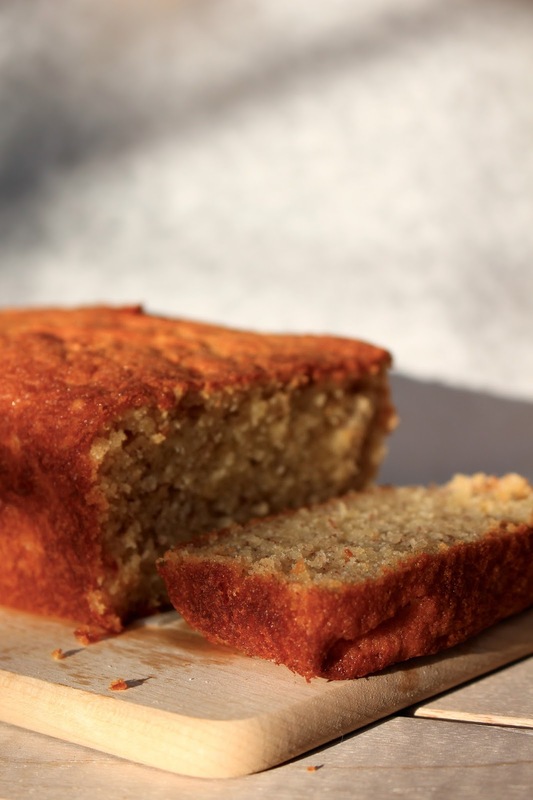 Great recipe, I grew up eating banana loaf, and very delicious too! All my friends are always telling me to try baking a banana loaf and honestly I have no idea why I keep forgetting to do it for I really like bananas in every shape and form. I must admit that your loaf looks fantastic...and delicious!!! hence inspiring a desire to finally give it a go. I love how you kept it simple...sometimes that is the best way to go. Banana is supposedly one of healties fruits and it has that 'happiness factor', like chocolate it has an ingrediant that tells our brain to be happy...so that's an additional reason. I LOVE banana bread! this loaf looks moist and delicious! Looks so scrumptious and yummy! Gorgeous shots! Whoah I don't normally like banana bread; most of the ones I've eaten are dull but yours look golden and really appetizing! I am in LOVE with your blog. Your photos are so clear and beautiful. 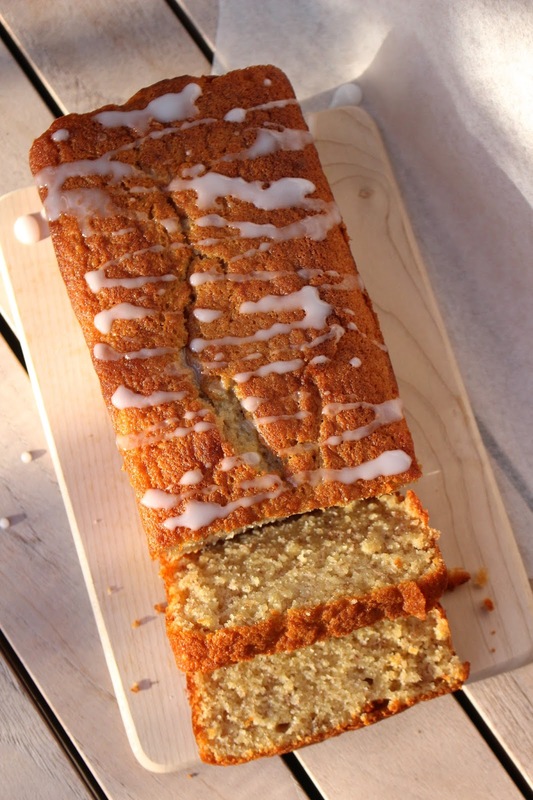 Ist a banana bread recipe usually the first post on every lifestyle blog? At least here in Germany this is a running joke. I do bake banana bread quite often, as my daughter refuses to eat brown bananas and I refuse to throw them out. Banana bread is the best! My son LOVES it and so do I! I prefer it with my morning coffee! :) Great post and recipe, Gabrielle! I love banana bread, and I love making cupcakes from them too, they are so fab! I will ocassionally put peanut butter in the recipe too, so yummy! Since we're both in the UK (boo!) we don't exactly get the best weather at all times. So I feel like a thick loaf of this with a big cup of tea and a good book on a cold night would be absoloutely perfect! So little ingredients too! I'm not the biggest fan of banana loaf/cake but I have to admit, that one looks amazing! OMG!!! Can you send me some? Haha! Love everything about this post. Thanks for sharing darling! Happy Monday! wow! that looks sooo tasty! My nan makes the most delicious banana loaf. I'll have to try this out and compare the two! I can finish this in one go! Love banana flavour and this looks baked to perfection! This looks incredibly delicious, Gabrielle! I just pinned it because I definitely intend on making this someday, my husband would love it, he loves anything with banana! Thanks so much for sharing and I hope you have the most amazing start to your May! OMG, this looks so good, Gabrielle and my water is really watering! Thank you for the recipe, I can't wait to try it for the two boys. This looks so delicious. Thanks for the recipe Gabrielle. Have a lovely day. This looks great! We love banana bread. I also have a recipe for banana cupcakes with browned butter cream cheese frosting from a book called Chicken and Egg and it's amazing! You'll have to look into it. This looks really delicious and yummy and so easy to make. I think I might try this. Looks too good not to. I think I'll for sure try this recipe out!!! This look absolutely yummy. Personally, I love everything that has banana in it, more than the taste of actual banana :D. Weird I know. I must try this. I love home made cakes and this one really does look very well made! Good job and lovely photographs too! Thanks for sharing your tasty treat with us, really wouldn't mind a slice of this delicious looking banana loaf right about now! I have such a sweet tooth. This looks so yummy! Thanks for sharing! Banana Loaf is actually one of my favourites and I kind of like it when it turns out a little moist. Haha that's the best word I could find to explain what I'm talking about. Oooohhh gabrielle! This looks so delicious *_^ hubby loves a banana cake. I don't bake that much, but if we ever eat banana cakes, there wouldn't be any toppings on them though, that's how we take it.